There are no specific MAT test dates. The MAT is offered on a continuous basis throughout the year at hundreds of test centers. This means you will normally be able to find a test center near you offering test dates each month, making scheduling especially convenient. You can go to the Pearson MAT website to find a complete list of test centers. As mentioned in our blog on “How much does the Miller Analogies Test cost?” the price can vary between test centers. Be sure to shop around! Look at the pricing of several centers around you and try to find the best price available (generally, $70-$100). To schedule your exam, go to your chosen test center’s website and fill out their scheduling form. You may need to schedule several weeks to a month ahead of time to get your preferred day and time slot. Make sure you keep any instructions, confirmation numbers, or emails that the test center provides you with. First, remember that all of this needs to be in line with your college application deadlines. Check with your school to find out when they need your MAT test scores by. Next, make sure that you consider how much time it will take you to study and how long it will take for the scores to be sent to your school. 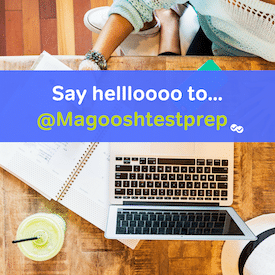 On average, you will want at least a month to prepare for the exam, and it takes 10-15 days for your scores to be sent out to your school (by mail). At a minimum, you will probably want to take the MAT at least twenty days before your application deadlines so that they arrive on time. Another thing to consider is your personal test preferences. Do you feel more mentally prepared in the morning, or the afternoon? Most people feel more alert during one or the other. Think back to your experiences in school. You should remember pretty clearly whether you enjoyed morning classes or dreaded them. It benefits you to schedule your exam during the time of day when you feel most mentally prepared. The last thing you want to do is take the exam during a time of day when you normally feel tired or unfocused. Getting your scheduling taken care of early is an important part of having a great test day.